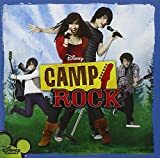 Accueil Bande originale Paroles Chansons Too cool – Paroles de la chanson dans “Camp Rock”. Too cool – Paroles de la chanson dans “Camp Rock”. Sortie : 11 Juillet 2008. Interprétée par Meaghan Jette Martin. I’m too cool for my dress. These shades don’t leave my head. Everything you say is so irrelevant. You follow and I lead. You wanna be like me. But you’re just a wannabe, love it or hate it. But I’m too cool, too cool. Yeah I’m too cool to know you. I’m too cool for you. You think you’re hot but I’m sorry you’re not. Exactly who you think you are. Can tell you what that you haven’t got. But when we walk into the room I’m too cool for you. You’re lucky I’m so nice. You’re still allowed to be in my crew. If you want to be someone. Just watch me and you’ll learn some. Me, myself and I agree. You’ll never catch up with me. Cause I’m too cool, too cool. You see some are born with beauty, brains and talent and they got it all. While other have to try all their lives still they never get the call. That’s the difference between you and me. Yeah I’m too cool, to know you.